It’s no secret that Jane Mosbacher Morris is one of my very best friends on the planet. What you might not know is that Jane and I have traveled across the US (and the world!) together. 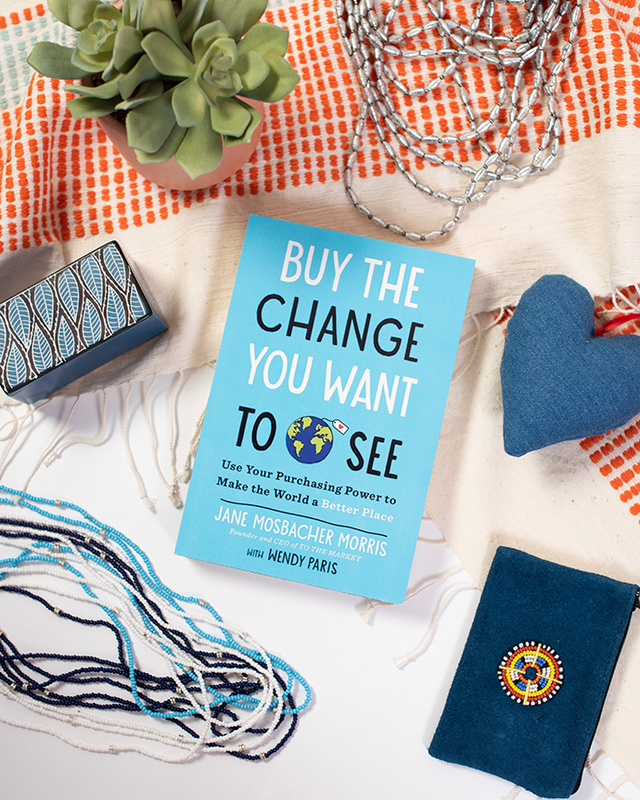 Her first book, Buy the Change You Want to See: Use Your Purchasing Power to Make the World a Better is OUT this week, and I’m already in love (you can buy one here!). 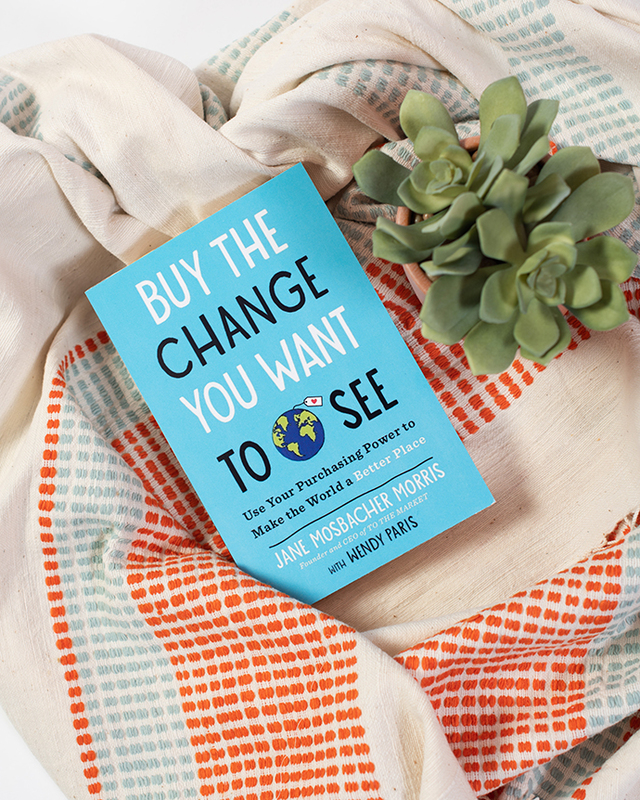 It covers how every one of us can be a conscious consumer – regardless of budget – and includes topics like coffee, chocolate, gifts, apparel, and shoes! It also talks about ways to repurpose items we may no longer need, including recommending some great charities that specialize in specific types of donations. Below are a few of her and my favorite suggestions for category-specific clothing donations (just a sneak peek of why you should grab this book today!)! Dress for Success: Preparing for a job interview can take a lot of thought. Worrying about the affordability of an appropriate interview outfit shouldn’t be an additional burden. So goes the thinking of this international nonprofit that provides professional attire for vulnerable women seeking employment. The nonprofit also offers life- skills training and a support system to help women move toward economic independence. Local affiliates accept gently used clothing and accessories and unused beauty products. Becca’s Closet: In high school, Rebecca Kirtman decided to collect hundreds of prom dresses to donate to girls in South Florida who might otherwise skip the dance due to the high cost of the dress. Becca’s Closet awards “dress scholarships” to high school seniors who have shown leadership in their communities. You can donate your gently used dresses by finding your local Becca’s Closet chapter. Brides Across America: This nonprofit helps military brides, many of whom are living on a small salary, feel like Cinderella on their wedding day by giving them beautiful (used) wedding gowns. To donate your dress (and wedding accessories, such as a veil), fill out the application form online. Once Upon A Child: Once Upon A Child is the largest U.S. resale franchise that buys and sells gently used kids’ and baby clothing and gear, helping moms in two ways: by selling safe, clean products at a good price and by offering parents the opportunity to recycle children’s nearly new items and get paid on the spot.